The 2017 Hoggin The Bridge event, run by Caldicot Town Team raised a whopping £13,500 for 24 charities. 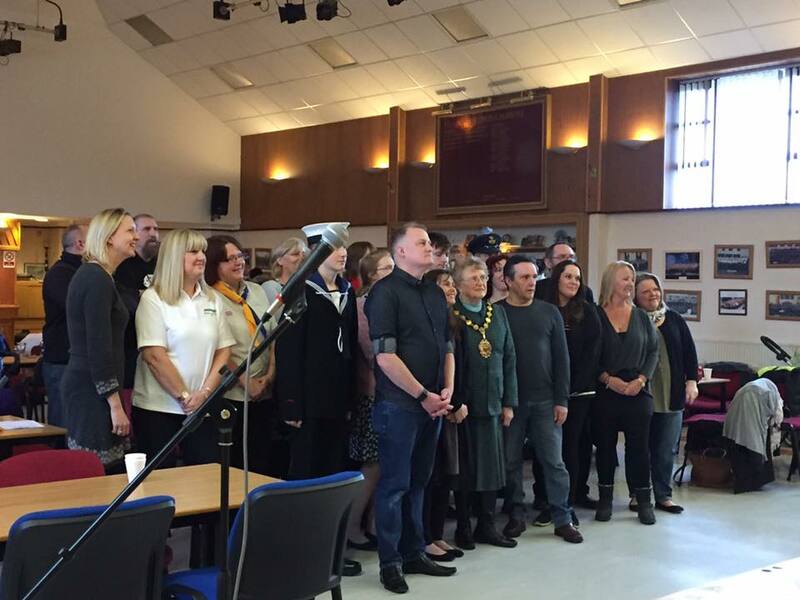 Hoggin The Bridge held their annual presentation at Caldicot Choir Hall on Sunday 14th January 2018. Monmouthshire County Council Chairwoman Maureen Powell attended the event and presented a cheque to Meningitis Now. 23 other charities benefited from a share of the £13,500 raised by bikers on Sunday October 8th. Over 6,000 bikes took part in the largest ride out to date for the group. Finishing this year at Caldicot Castle, the backdrop and good weather made for a fantastic day out. Live music, motorbike stalls, new motorbikes and bouncy castles all added to the festivities. The team are currently working on 2018 and will release more information as soon as possible, keep an eye out on our facebook and instagram pages for more information.